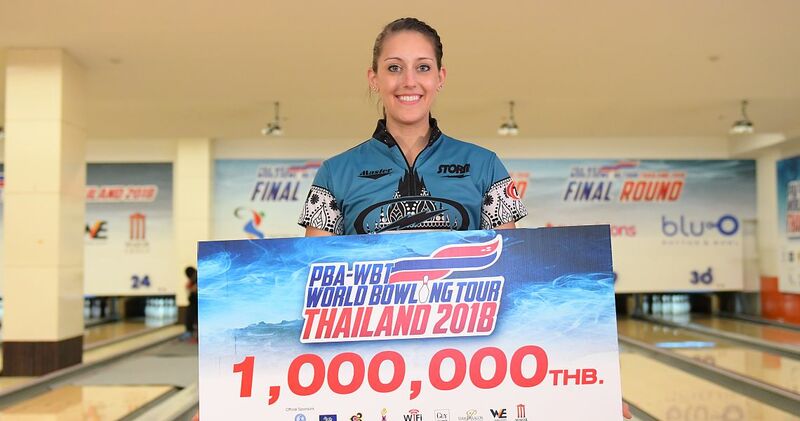 Women’s World Bowling Tour point ranking leader Danielle McEwan, United States, defeated Stuart Williams of England in the decisive game, 225-179, to win the Professional Bowlers Association-WBT Thailand tournament and the 1 million Baht top prize ($30,795USD). Featured photo from left: Stuart Williams (2nd), champion Danielle McEwan and Rafiq Ismail (3rd). As the four-time Professional Women’s Bowling Association champion accepted eight pins handicap each game, an equality handicap provided to women in all WBT events in Europe and Asia, McEwan will not be awarded a PBA title. 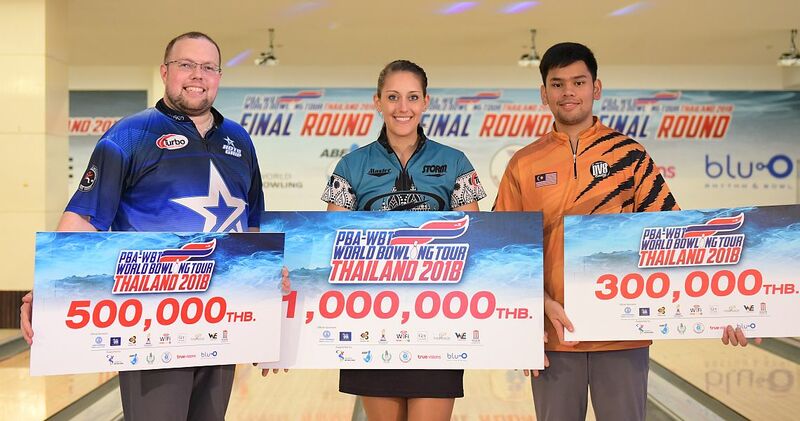 The 27-year-old right-hander (right) from Stony Point, N.Y., led the fourth round at Blu-O Rhythm & Bowl Paragon in Bangkok earlier on Friday with 1381, including 48 pins handicap, to earn the no. 1 seed for the TV finals. The top seed in Bangkok has the advantage of having to lose two games to suffer defeat. Williams (left), who became England’s first PBA champion when he won the 2011 Viper Open, was looking for his second PBA title and sent the match into overtime with a 232-218 win in the first game. In the decisive game, the Englishman fell behind early when he failed to convert splits in the second and fourth frame. 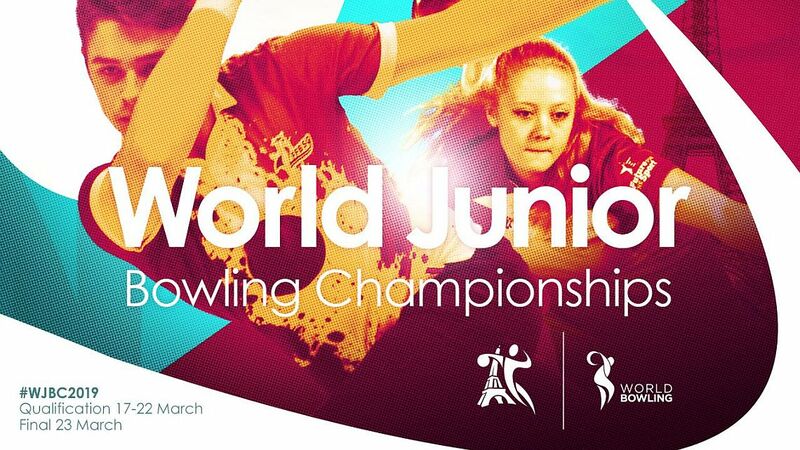 McEwan sealed the victory when she closed with four consecutive strikes. 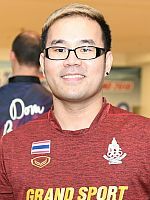 In the opening shootout match, defending champion Yannaphon Larp-apharat (right) of Thailand, who reached the TV finals as the best Thai bowler in round four, gave it all he had, but his 246 game was not enough to advance. 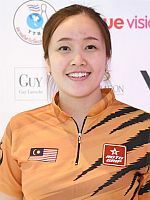 Sin Li Jane (left) of Malaysia, who owns one PWBA titles and two titles on the European Bowling Tour, posted 261, including eight pins handicap, to eliminate the Thai and 12-time PBA champion Sean Rash, United States, who finished eighth behind a 195 game. In the second shootout match, Sin tied Kyle Troup (right), USA, at 220, to force a one-ball roll-off. 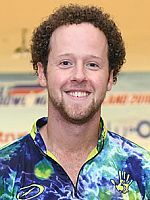 Troup, who won his third PBA title in the last WBT event, the Storm Lucky Larsen Masters, earlier this month, struck on his first shot to advance, while Sin got only nine pins. Also eliminated was World Bowling Tour men’s point ranking leader and four-time PBA titlist, Anthony Simonsen, USA, wo had to settle for sixth place with 178. 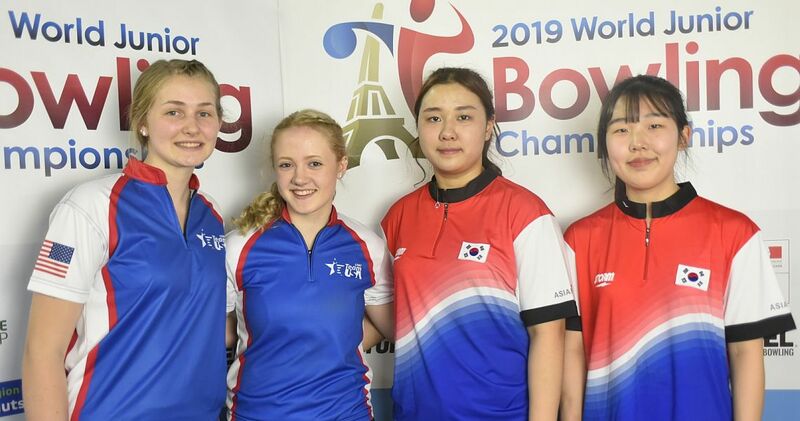 Williams ended Troup’s hopes for back-to-back PBA and WBT titles defeating the American in a low-scoring quarterfinal match, 182-173. 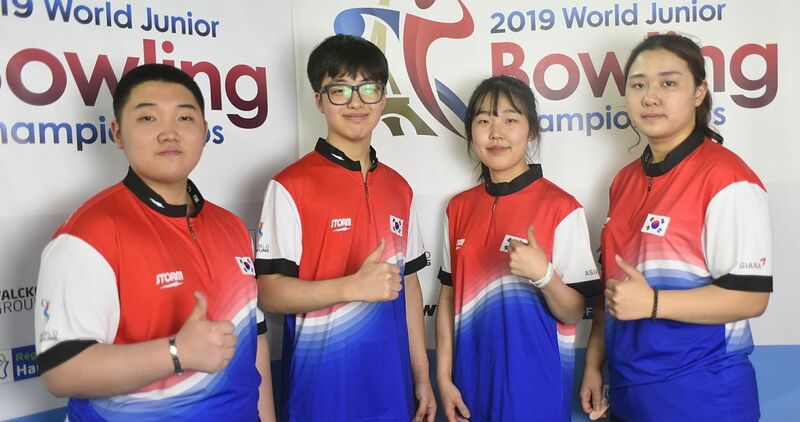 Williams then edged 2018 Asian Games champion Rafiq Ismail (left, with Sin Li Jane) of Malaysia, in the semifinal match by one pin, 206-205, to set up the championship match. 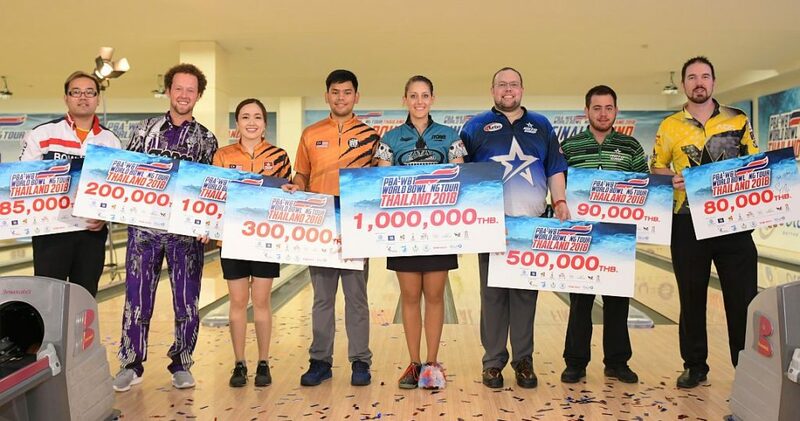 Ismail received 300.000 Baht for third place and Troup took home 200.000 Baht for fourth place. 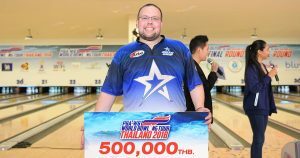 The tournament offers total prize fund of 4.215 million Baht or approximately 129,800 U.S. Dollar. 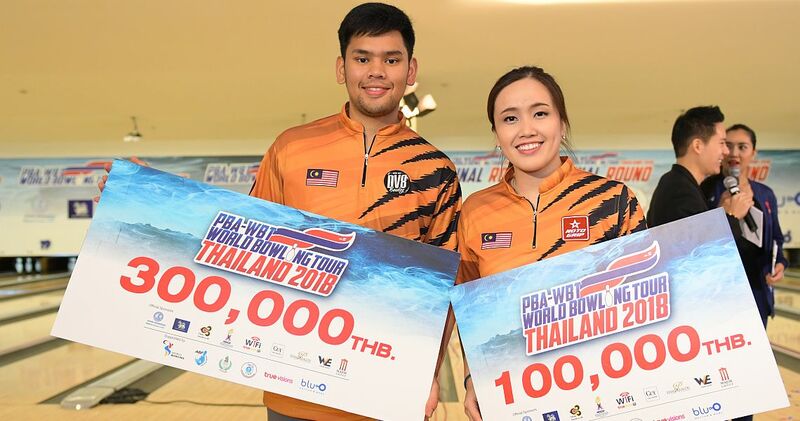 The winner will walk away with 1 million Baht ($30,795) and will be awarded a World Bowling Tour title and a Professional Bowlers Association title, if won by a PBA member (women only if they don’t accept handicap pins). 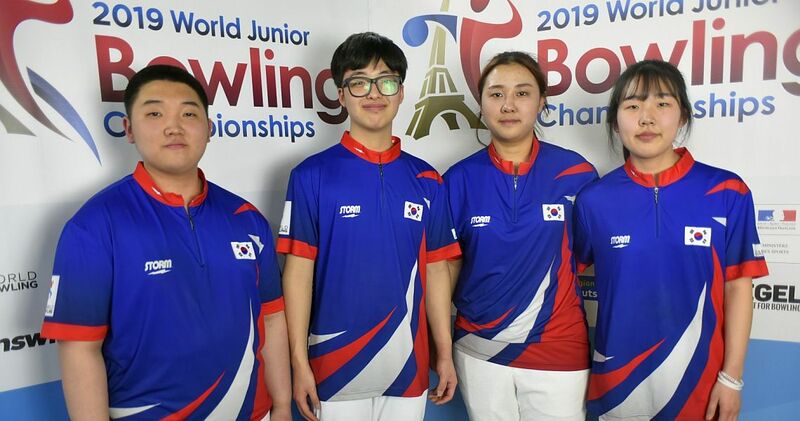 Total 42 bowlers survived the qualifying portion (Round 1), including the top 7 qualifiers, the two highest Thai bowlers outside the top 7 (ranked 8 & 9), the next 28 qualifiers (ranked 10-37), the next two Thai bowlers outside the top 37 (ranked 38-39) plus the top 3 of the one-game Desperado Squad (ranked 40-42). Players ranked 1-8 received two byes and players ranked 9-24 got one bye. 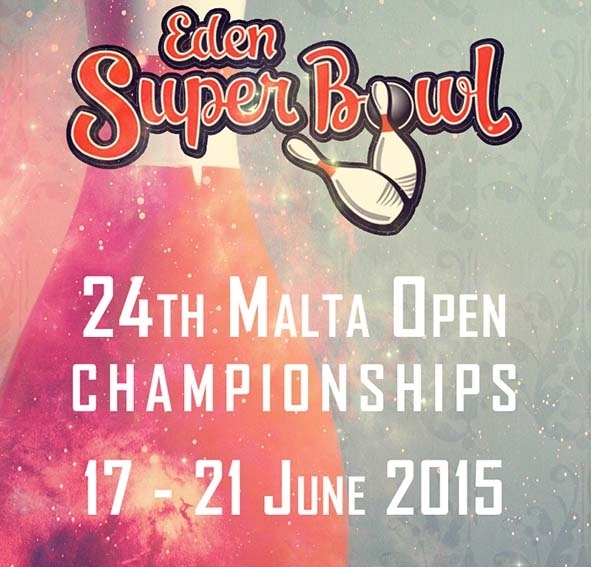 Bowlers ranked 25-42 advanced to the second round to bowl six games from scratch with the top 10 advancing to Round 3. 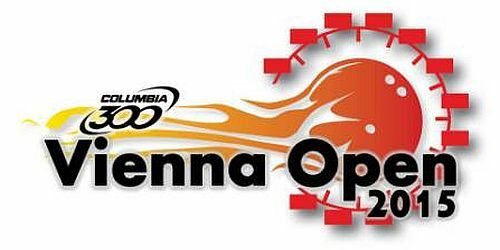 Qualifiers 6, 7 and 8 met in the opening stepladder match. The winner took on no. 4 and 5 in the second match. The winner bowled no. 3 with the winner advancing to the semi-final match against no. 2. The winner of that match met the top-seed in the championship match and must defeat him or her twice to win the title and the first-place check. The TV finalists from left: Yannaphon Larp-apharat, Kyle Troup, Sin Li Jane, Rafiq Ismail, Danielle McEwan, Stuart Williams, Anthony Simonsen and Sean Rash. 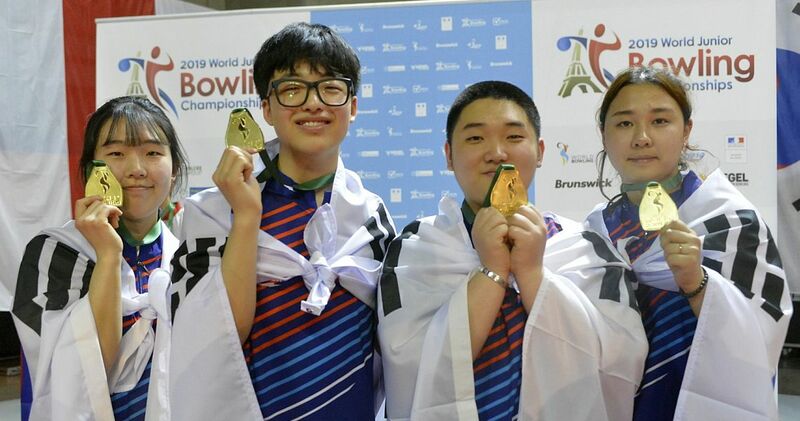 McEwan and Sin received eight pins handicap each game. and in the decisive game: McEwan def. Williams, 225-179. Note: The tournament leader must be defeated twice in order to win the event. Top 7 plus the best Thai advance to the TV finals. 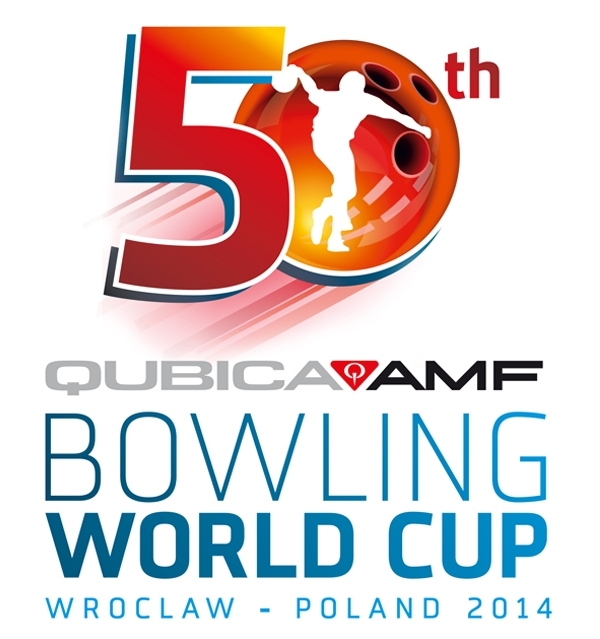 (F) – women receive 8 pins handicap each game.